With almost 33 years of legal experience, the law office of Thomas M. Dryden, P.L. 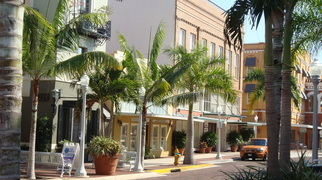 has a strong reputation within the Fort Myers, Florida area for helping clients through challenging legal experiences. Attorney Thomas M. Dryden is Board Certified in both Real Estate and Business Litigation. This experience and specialty provides him with the unique ability to protect a client’s interest whether in a transaction or litigation matter. Mr. Dryden is also AV Peer Rated by Martindale Hubbell, the highest rating afforded by peers based on the lawyer’s professional ability and ethical standards. If you are in need of an experienced Southwest Florida attorney for seasoned legal advice or for matters related to real estate, business, trusts and probate law, or effective resolution of disputes through negotiated settlement or litigation, contact our law office today. Our dedicated and experienced team of legal professionals is committed to providing quality representation for all our clients. We have been practicing civil law in the Fort Myers area since 1984 (licensed since 1982). Thomas Dryden has been Board Certified by the Florida Bar in Real Estate since 1996 and Board Certified by the Florida Bar in Business Litigation since 2013. Over the past 33 years, we have handled multi-million-dollar commercial and residential transactions. We have also handled lawsuits involving liens, construction defects, evictions, quiet title, foreclosure and foreclosure defense, breach of contract, association disputes, trust and will disputes, and insurance matters. The Law Offices of Thomas M. Dryden has also handled hundreds of lawsuits, concluding in settlements or bench or jury trials. Thomas M. Dryden, P.L. has a busy staff consisting of two full-time legal assistants, who each have an area of expertise. “It is important to my staff and me to stay accessible to our clients and provide the best legal representation possible to keep our clients happy, often under expedited and difficult circumstances”. Thomas M. Dryden serves clients in Fort Myers, Cape Coral, Naples, Bonita Springs and Estero.